The term 'onboarding' has been around for a while, but what does it mean? In essence it is the activity or process of integrating a new employee into the organisation. So why as an employer should you be interested and thinking about onboarding? Firstly, it improves retention. Recruiting a new employee is costly, more so if it is to replace an employee who has already left. There are many surveys and reports which demonstrate that if onboarding is undertaken well, it makes a new employee more likely to remain with you. Newly hired employees are nearly 60% more likely to still be with you three years later if the onboarding experience is well executed. Secondly, it increases productivity. There is a study which suggests that 62% of companies saw a faster time to productivity ratios when using an effective onboarding process. But when does onboarding start, and when does it finish? There is no right or wrong answer here. Some organisations pride themselves that it begins with the actual advert for the role as it sets out the brand and success of the organisation. For others it is when the interview is complete. However, what is important is that onboarding commences from recruitment through their first day and beyond. If you would like a review of your onboarding process to ensure that it properly supports the needs your business, then contact us here at Plain Talking HR. We can ensure an effective checklist is in place and support you both before and after a new hire joins you. Remember also, just giving your new hire the employee handbook to read and sign at the start of employment and never referring to it, or the policies contained within it, again is not a good onboarding approach! You as an employer are responsible to ensure that staff are up to date and aware of policies which affect them – particularly if they change. Talk to us at Plain Talking HR for innovative and appropriate approaches to ensure your staff are up to date with changing policies and that your risks are managed. 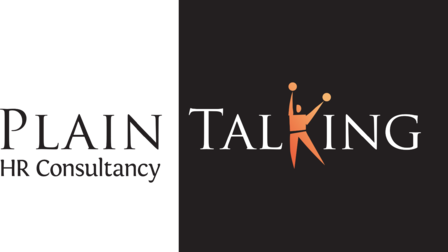 For all your HR advice and support in Luton or anywhere in the UK, look no further than Plain Talking HR.